Stay in centrally located hotel in Singapore. Stay for two nights in Bintan Island. Travel from Singapore to Bintan by ferry. Welcome to Singapore! On arrival at Changi International airport, clear immigration formalities and proceed to your pre booked hotel in Singapore. Check in and relax. Later in the evening roam around the vibrant city of Singapore and enjoy the night life. Overnight accommodation in Singapore hotel. After breakfast in your hotel, board the coach for the sightseeing tour of Singapore. Drive through Orchard Street, China Town and Little India to see the different cultures living together this part of world. We will also pass by Parliament House, Supreme Court and City Hall with photo stop at Merlion. Later in the afternoon, lets go to Sentosa Island. After reaching to the base, board the cable car which takes you inside Sentosa after crossing a rainforest. Visit underwater world and Dolphin Lagoon followed by Wings of Time show. Later in the evening come back to your hotel. Overnight accommodation in Singapore. After breakfast, board your coach and proceed to Jurong Bird Park – home to over 8000 birds of more than 600 species. Ride the tram and visit African Waterfall aviary followed by some exciting shows by the birds. Later after fun filled morning here, leave for your hotel. Later in the evening, we will take you to Night Safari to watch animals in their natural habitat during the night time. Take the tram ride which covers 3.2 km and catch the sight of animals like tigers, lions, rhinos, elephants, etc. Not to miss is the Creatures of the Night Show here, with 30 minutes of non-stop action by various animals showing their amazing skills. Overnight in Singapore hotel. Today after breakfast, check out your hotel in Singapore and transfer to the Singapore ferry terminal to board your ferry to Bintan, the trip takes around 55 minutes. On arrival, pay for visa on arrival and proceed to your hotel in Bintan. Check in and relax. 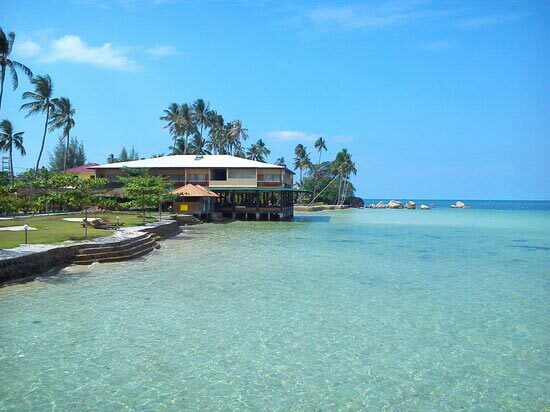 Bintan is famous for lovely beaches and friendly people. Stay overnight in your hotel. After breakfast, the day is reserved for relaxation on the beach. Take your towel and swimwear and enjoy the various recreational activities include snorkeling, jet-skiing, fishing, sailing, diving, etc. or if interested you can also try golf here for which it has got the best facilities in South East Asia. Take a leisure walk along the white sandy beaches and enjoy sun bathing. Overnight at your accommodation in Bintan. Today after breakfast, relax in your hotel and later board your ferry to Singapore. On arrival at Singapore ferry terminal, we will transfer you to the Changi airport for your flight back home. Come back with happy memories of your vacation with Plan Journeys.